Phantom Regiment Drum & Bugle Corps will call Western Illinois University home for the majority of our summer training – May 20 – June 9, 2018. The corps will live, work and train at WIU’s Macomb campus. The members will live in the WIU residence halls and practice on Hanson Field, Vince Grady Field, and the Marching Leathernecks practice field east of Olson Hall. 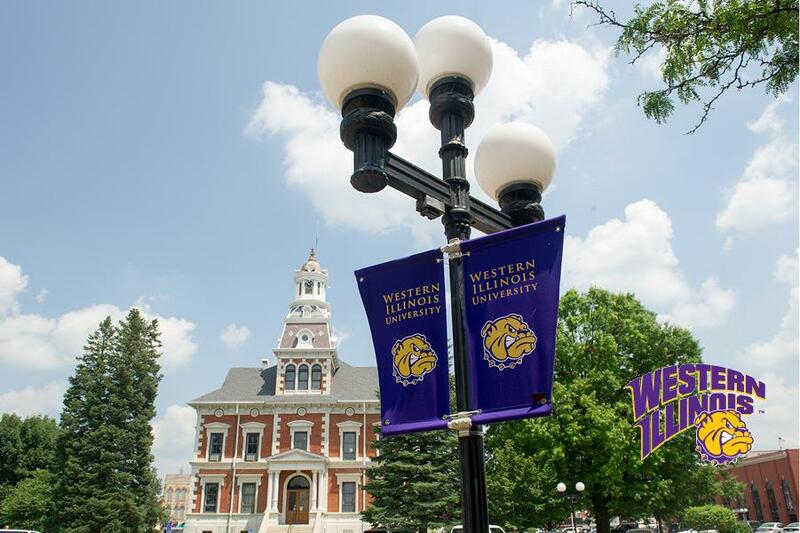 Executive Director Rick Valenzuela worked closely with WIU Marching Leathernecks Director Matt Thomas to make WIU the location for the corps’ residency. The corps will still start spring training on the beautiful campus of Rockford University as it has since the early 2000’s. “We are extremely happy and proud of our partnership with Rockford Unversity”, says Valenzuela, “but we with the advancement of our activity with props and electronics, an artificial turf stadium is something we need to put our production together”. The corps will move into Rockford University on May 16, before it departs for WIU on May 20. Now that the corps won’t be on campus, it opens the opportunity for our educational camps to all be held at the same time (June 8-11) on the campus now that there’s more space available. Normally, the four camps would take place over a two-week period. Learn more about our educational camps at regiment.org/camps. The corps will transition to Western Illinois Univesity on Sunday, May 20. “The phenomenally warm welcome we’ve received thus far, particularly from Dr. Thomas and Dr. Mike Fansler [Director of Bands], gives us much excitement for our three weeks on campus this summer,” Valenzuela said. All of the corps’ rehearsals at WIU will be open to the public. The corps will then relocate back to Stillman Valley High School for the last week of its Spring Training June 10-16. The annual Dress Rehearsal free performance will take place on Saturday, June 16 at 8:30 pm (pending weather).